It depends on the variety, Dbluedeem. There exist miniature tomato plants. Aerogarden sells kits of these. For a garden that can reach 24" height, AG kits have dwarf tomatoes, of which you can grow 2. 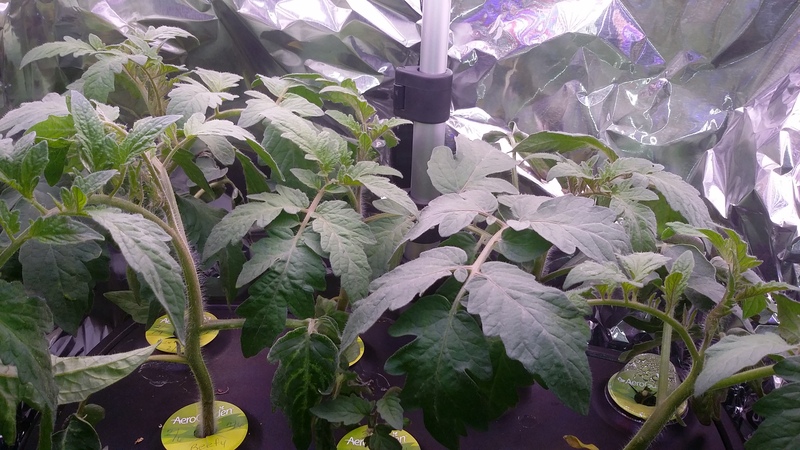 Most tomato varieties won't fit in an Aerogarden. Fruit size doesn't tell us what size the plant wants to be. Cherry tomatoes often have huge vines, and some beef varieties are relatively short. So what you've said doesn't really indicate how many (if any) will fit.